UCU represents members in further and higher education across Northern Ireland. We also represent staff in a number of training organisations. 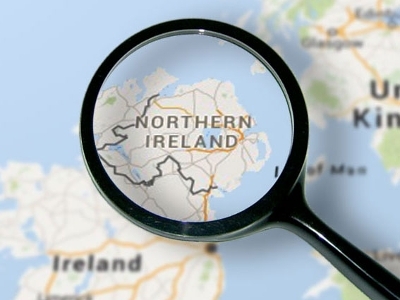 Post-school education and training in the region are issues devolved to the Northern Ireland Assembly and its executive. The NI Assembly was re-structured following the May 2016 elections - with the number of departments reduced from eleven to eight. The Department of Employment and Learning merged with the Department for Enterprise Trade and Industry to become the Department for the Economy. Higher and further education in Northern Ireland now fall under the remit of the Department for the Economy. Funding is now provided via the Department for the Economy, which receives an allocation from the executive out of the UK Treasury grant. UCU in Northern Ireland engages with the Department for the Economy at all levels up to and including the minister. We seek to influence policy in relation to post school education through lobbying politicians and making submissions directly to government. All HE institutions are part of UCEA and are part of UK negotiating machinery for the determination of pay. Each institution has its own locally negotiated conditions of service. Most academic and related staff at Queens, UU and OU are members of the University Superannuation Scheme for pension purposes. Lecturers at St.Mary's and Stranmillis for the most part are members of the Northern Ireland Teachers' Pension Scheme. Some 15% of higher education in Northern Ireland is also delivered through the six further education colleges. All colleges are part of the Colleges' Employers Forum and Colleges NI. The pay and conditions of service for lecturing staff are determined centrally at the Lecturers Negotiating Committee. A separate bargaining forum determines the pay and conditions of service of directors and deputies. As part of UCU Queens University Belfast series of lunchtime debates on equality issues, the union is hosting a talk on Brexit and our rights, with MLA Caiomhe Archibald (Sinn Fein) on 10 October 2018 from 12 noon to 1pm. All welcome. The Northern Ireland Assembly has been dissolved since January 2017. While the political impasse continues, the Department of the Economy - which has responsibility for further and higher education - is being led by its senior civil servants (in the absence of an executive, a minister for the economy, a functioning assembly and its scrutinising committees). The Permanent Secretary of the Department for the Economy since February 2018 is Noel Lavery. Details of current higher education policy can be found here; and further education policy here. Information on the previous work of the Committee for the Economy can be found here.